Seeds and whole grains are packed with vitality, protein, fiber and essential fatty acids. They are nature's nutritional powerhouse and form the basis of Dr. Kracker's award winning flavors. With Dr. Kracker you get the rich, toasty taste of organically grown whole grains and whole seeds, as well as an abundance of plant-based protein, heart healthy fiber and essential micronutrients. All this is in a hearty cracker that can be enjoyed alone or paired with almost anything. 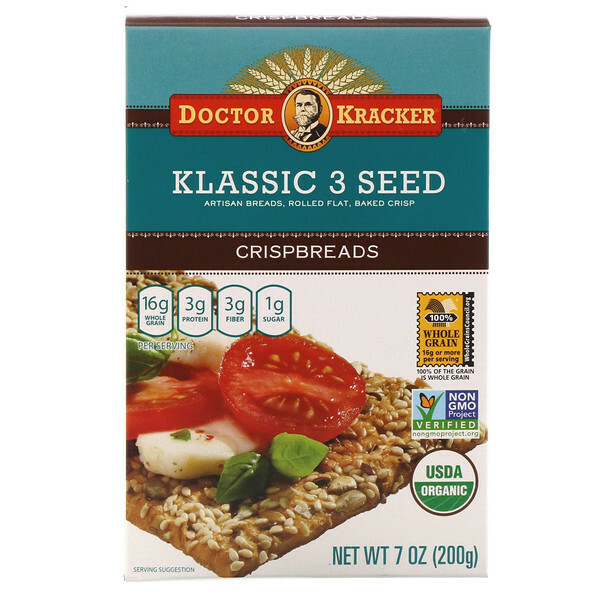 When it comes to wholesome whole grain goodness packed into an artisan baked and tasty cracker, Dr. Kracker delivers! Simply delicious all by themselves. Even more delicious with your favorite dips or toppings. 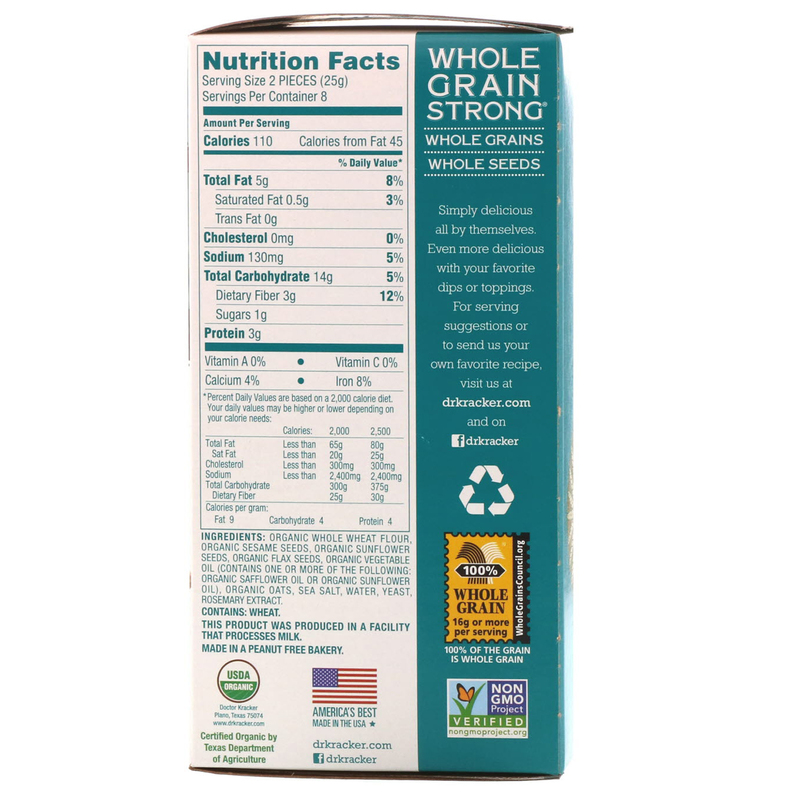 Organic whole wheat flour, organic sesame seeds, organic sunflower seeds, organic flax seeds, organic vegetable oil (contains one or more of the following: organic safflower oil or organic sunflower oil), organic oats, sea salt, water, yeast, rosemary extract. This product was produced in a facility that processes milk. Made in a peanut free bakery.